It is time to review your policies, coverage, limits and deductibles. A careful inspection of your Homeowners, Auto and Boat Insurance by a Pro America Insurance Team Member and an assessment of your needs will help insure that you have appropriate coverage before a major weather events threatens South West Florida. Understand that once a tropical storm or hurricane watch or warning has been issued by the National Weather Service for any part of the state of Florida a statement of "NON BINDING AUTHORITY" is issued by individual insurance companies which strips all insurance agents of the authority to bind new applications or process endorsements (changes) for increased coverage regardless of effective date. You should also be aware of the claims process if a loss is realized. A careful review of your policy will answer many of these questions. However, if understanding the fine print becomes a challenge stop in to one of our branches and a Pro America Insurance Agent will happily explain your coverage's. A thorough list of contents and value should be kept along with other important documents in an easily accessible place should evacuation be necessary. Take the time to Secure your home from storm damage, protect your vehicle and properly store your boat. 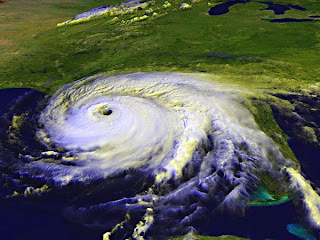 Visit the National Hurricane Center for information on Hurricane Preparedness. Your can register your family, including pets, create a family or business plan and get suggestions for an emergency kit tailored just for you from the Florida Disaster web site. Don't delay! Now is the time to review and revamp your Homeowners, Auto and Boat Insurance coverage! Call our Pine Ridge Office at 239.434.5500 or our Immokalee Branch at 239.596.2400, stop in or request a fast and free rate quote on line.